If you’re not doing anything better on October 30, you’ll want to stop by your local Toys R Us for a Pokémon TCG: XY – Evolutions launch event. 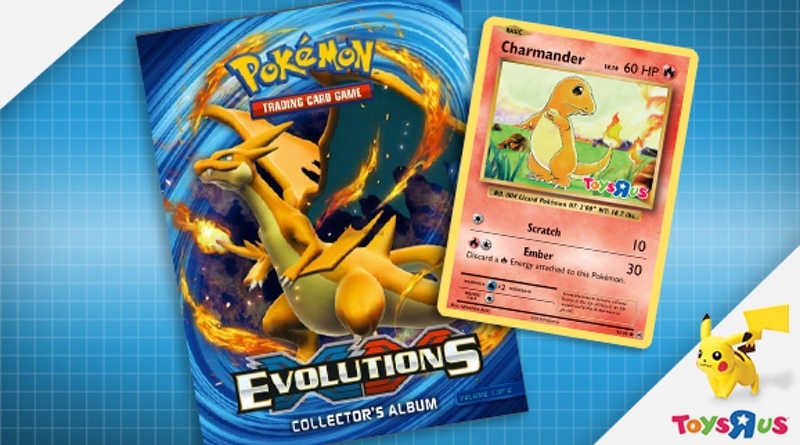 Not only can you pick up the classic cards with a vintage look, you’ll be able to grab a foil Charmander promotional card and an XY-Evolutions Collector’s Album. If you’re one of the first 50 attendees you’ll get a special Pikachu figure as well! Booster packs and two theme decks—Pikachu Power and Mewtwo Mayhem—will be available at participating US and Canadian Toys“R”Us stores on October 30, 2016, October 31, 2016 at hobby shops and participating GameStop locations, and other retailers nationwide by November 2, 2016.